We become your claims and processing department to handle all exception, missing, or damaged shipments with the carrier(s). Whether it is a UPS Damage, FedEx Damage, DHL Damage, or Damaged Freight from another carrier, our agents will handle all paperwork and processing from the initial tracer or claim to the final outcome or payment. Multi-user, security level access to our Web Portal for detailed reporting on tracers, claims, results, and payments. Upload photos or documents and provide any required information needed by the carrier such as proof of cost, description of product, and contact information. Let our Support Staff handle the rest to insure you get reimbursed! Visibility into claims and payments are provided through our Damage Claim Dashboard while we work with the carrier(s) to get your claims approved. Client reimbursement ACH Payments will be made for all approved and paid claims by the carrier within (60) sixty days. Let our experienced team do the work for you to get the results you want! Existing clients can get more information or activate this solution within our Web Portal or by reaching out to your Account Representative. Discounts are provided for clients of Ship Watchers that are already part of our auditing solution. 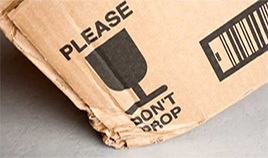 If you are interested in learning more about how Ship Watchers can help you out with missing and damaged packages, please contact us at any time. Upload and Store Claim Docs, Receipts, etc.